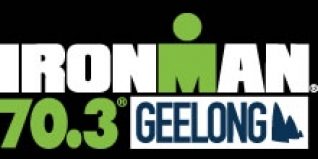 Twice Ironman 70.3 World Champion Craig Alexander added to his early season win at the Port of Tauranga Half in January, by defending his title on Sunday at Ironman 70.3 Geelong. Uplace-BMC Pro Triathlon Team member Liz Blatchford come out on top in a tough battle with Rebekah Keat to take the ladies victory. While Estonian swim speedster Marko Albert was first out of the water, Alexander was in conention with most of the favourites around 30 seconds back, and he along with Sam Appleton (AUS) and long-time leader at the recent Ironman 70.3 Auckland, Mark Bowstead (NZL) would make the race winning move on the bike to bring a decisive lead into T2. Kiwi Bowstead was soon dropped by the Aussie pairing early in the half marathon, leaving a head-to-head for most of the run, until the experienced Crowie was able to prove he is still a very competitive force by pulling away in the late stages to take the win. In Friday's preview we mentioned that Liz Blatchford, Rebekah Keat and Gina Crawforw would like be battling for the podium, and for the swim and bike sections there was very little between them, the trio having been well clear out of the water. Blatchford and Keat were able to break clear on the run, with Keat initially gaining time and looking set for the win, until Blatchford was able to battle back and take first place. Keat took second, while Crawford was passed on the run by Sarah Crowley who set the fastest run split of the day. "It was slightly unexpected, because I had a limited preparation, but I ended up feeling pretty good out there. It was a close batlle especially on the bike. Gina Crawford, Rebekah Keat and I rode together for most of it. Getting in front of the run, Rebekah just flew out of transition. She managed to get about one minute on me after 10km. I tought she was gone. After a while I realised I was taking time back on her. All of a sudden I got a little bit excited and dug deep, I managed to get past her and take the win. So I am really happy with my season opener of 2015. "I would like to thank my team Uplace-BMC, every one that helps me to get to the races. Thanks every one for the cheers and the support out there!"